ALL SUMMER LONG…Regular 8-Week Summer Semester, 8-Week INTERN Program AND Music Camps, for ages 4-adult. 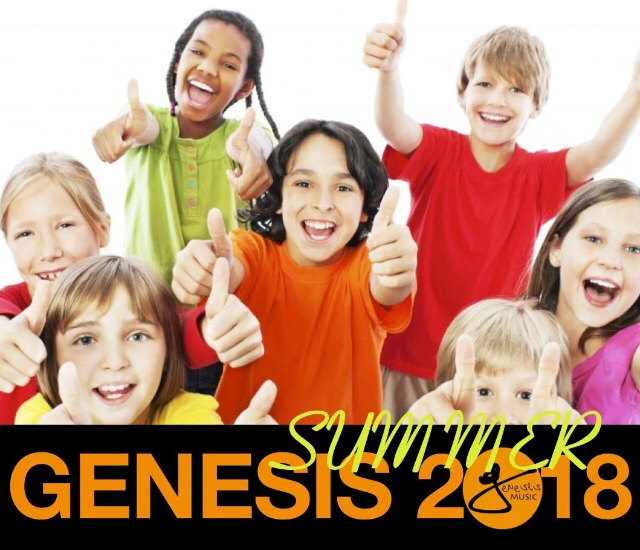 All Classes & Camps are held at the Genesis School of Music, 5480 Trussville Clay Rd, Trussville (about 1/8 a mile from the Trussville Civic Center)…EXCEPT OUR PINSON CAMP. Music Camps are for ages 3rd -8th grade. We also have special programs for older kids and adults upon request. LIMITED SCHOLARSHIPS are available, upon request. July 29-Aug 1//10:00-12:30 BAND, Beg…6:00-8:30 BAND, Adv. $119. Our Summer Intern Program is an amazing way to take your skills to the next level — by teaching others. Our interns are invited to all of our Music Camps, except Advanced Band Camp and Cinema Camp. For more information, or to apply, call 205.661.8410.